O.J. 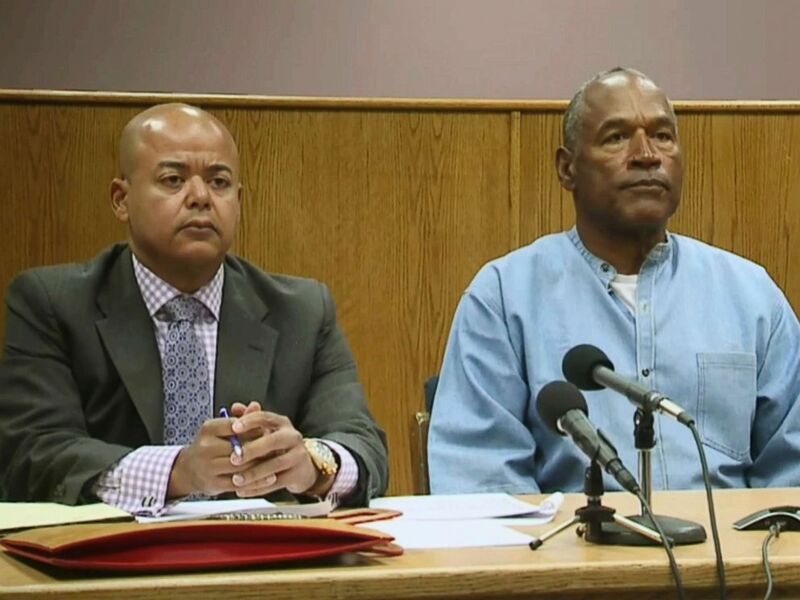 Simpson headed to Las Vegas, the city where he was arrested for armed robbery a decade ago, upon his release from a Nevada prison early on Sunday, ABC News has confirmed. Simpson submitted a parole release plan for a residence in Las Vegas, according to a statement from the Nevada Division of Parole and Probation. His case was assigned to an officer in the division's Southern Command, Las Vegas, the statement said. After spending nine years in prison for a Las Vegas robbery, the former NFL player and movie star quietly walked out of Nevada's Lovelock Correctional Institute at 12:08 a.m. local time Sunday, according to the Nevada Department of Corrections. Brooke Keast, a spokeswoman for the Nevada Department of Corrections, said Simpson was upbeat and happy as he left. Keast said he didn't want his picture taken, and that he wanted the release to be quiet, without media attention. Dressed in jeans and a jean jacket -- the same type of prison denim that he wore during his parole hearing -- white sneakers and a hat, Simpson, 70, signed release papers and left the facility in the dark of night on the first day he was eligible for release. As he left prison, in his hands were the possessions he accrued over his nine years there: two boxes of legal paperwork, some clothing and items that he had acquired or purchased through the prison store, according to the Nevada Department of Corrections, which released a short video of Simpson’s prison exit, as well as a photo of him signing release papers. Keast said prison officials did not want anything left behind with Simpson's signature on it that others could take. When prison officials told Simpson, "Don't come back," the former Buffalo Bills star responded, "I don't have any intent," according to Keast. Upon his release, a decoy van was sent down the main road outside the prison, while the SUV carrying Simpson left on a small dirt road in the rear of the facility. Simpson's sister, Shirley Baker, told ABC News from California on Sunday, "We are just joyous, grateful and celebrating today." Keast said Simpson met with his parole officer sometime last week, allowing the Department of Corrections to release him directly from Lovelock on a weekend. Most inmates are transferred to another facility to be released, however, officials felt that the less Simpson was moved, the safer his release would be. Keast said the early morning release was best for Simpson, the staff and the community, and said it "had to be done for safety reasons." Keast said Simpson's final few nights in prison were spent in the infirmary, where he was alone with his cell door open. Simpson was sentenced to prison following an arrest in 2007 during a botched robbery in Las Vegas, when he led a group of men into a hotel and casino to steal sports memorabilia at gunpoint. He contended the memorabilia and other personal items belonged to him.